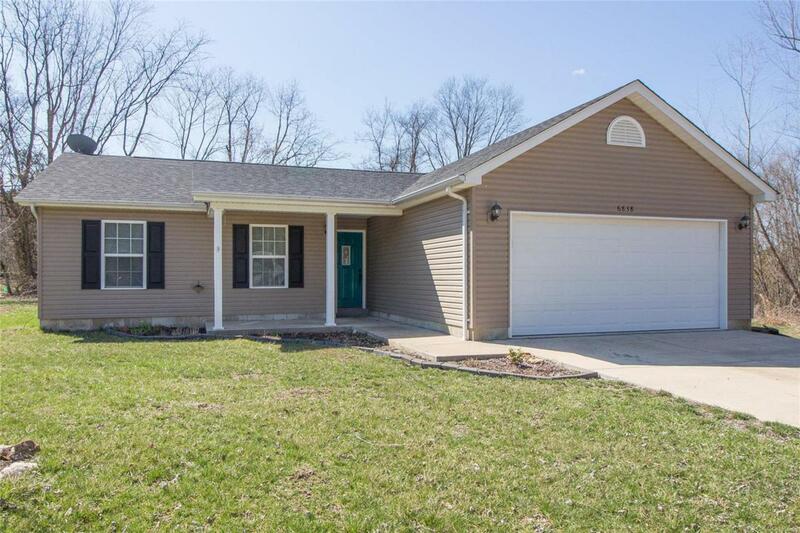 This move-in ready ranch home is only 5 years old and offers beautiful flooring that leads you through the house. The kitchen features stainless steel appliances (stove, dishwasher, microwave and refrigerator) and leads to the main floor laundry/mud room. From the breakfast room you can step out onto a 15x15 patio overlooking the large level fenced lot that backs to open ground. The master bedroom offer a view of the back yard and has a a full private master bathroom. There is a ceiling fan & light in each of the 3 bedrooms. The garage is oversized including a 10x6 work/storage area. Refrigerator, washer and dryer are included.